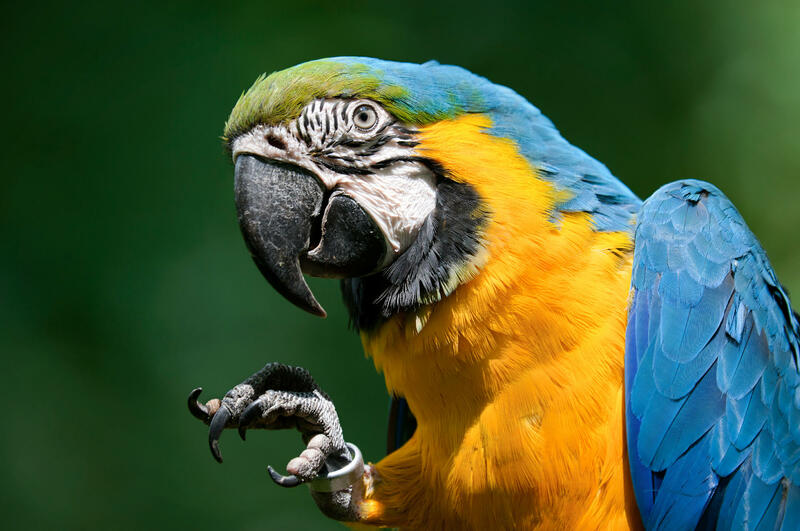 Is that struck by macaw, initial encounter, or struck by macaw, subsequent encounter? If you're struck by a macaw, sucked into a jet engine or are having relationship problems with your in-laws, fear not: Your doctor now has a medical diagnosis code for that. On Thursday, doctors, hospitals and health insurers must start using the ICD-10, a vast new set of alphanumeric codes for describing diseases and injuries in unprecedented detail. The transition, mandated by the federal government, has been called American health care's Y2K moment, because the codes haven't been updated in 36 years. Doctors and hospitals are on high alert since the arcane letters and digits are key to how health care providers get paid. If they don't use the right codes, down to the decimal, they may not be paid sufficiently — or at all. For months, health care insiders have been venting their frustrations with the changeover, posting Halloween-themed ICD-10 office decor on social media and mocking some of the wackier codes. Among the targets: W61.33 (pecked by a chicken), Y08.01 (assault by hockey stick) and R46.1 (bizarre personal appearance). Not to mention W56.22xA — "struck by orca" — which became the title of an illustrated book of infamous ICD-10 codes that has sold nearly 10,000 copies, said its editor, Niko Skievaski of Madison, Wis.
"Basically everyone who works in health care interacts with this code system — it's really the language that's used to communicate from the clinical side to insurers," said Skievaski, whose experience at a health information technology company helped him and colleagues come up with the book idea. "These codes, they affect everybody." Behind the gallows humor lies a major change in how health providers do business, albeit one that's nearly invisible to patients. The codes doctors now must use to diagnose patients have multiplied from about 14,000 to nearly 70,000. Hospitals use a related set of medical procedure codes, which has grown even more — from 4,000 to about 72,000. The reason for the change? The previous set of codes, ICD-9, which were in use since 1979, didn't reflect the complexity of modern medicine. And some of the information was wrong or obsolete. The ICD-10 codes set a new bar for comprehensiveness. Did you break your shinbone? Your physician will need to figure out which among dozens of codes for a fractured tibia correctly identifies your injury. And if you've eaten toxic mushrooms, there are 18 potential codes to cover you. Government and private insurers can reject claims that aren't specific enough, use the wrong codes or have a mismatch between a diagnosis and procedure code. The ICD-10 changeover will be even more complicated in four states — California, Louisiana, Maryland and Montana — because of their antiquated billing systems. They have permission from the federal government to temporarily use the old codes, at least for their Medicaid billing, until their systems can be upgraded. California's upgrade is expected to be completed by 2017. In Kaiser Permanente's 4 million-member health care region in Southern California, the transition involved revamping up to 30 computer systems and training about 10,000 employees, at an estimated cost of $15 million to $25 million. "We're about as prepared as any region can be," says senior manager Larry Sharfstein, who has been leading the process. A Pasadena "command center," a term generally applied in crisis situations, has been up and running since Monday. So how does he feel now that the big day is here? Sharfstein laughed. "I feel older," he said. The ICD-10 codes used by doctors are based on the International Classification of Diseases, 10th edition, a list of medical classifications maintained by the World Health Organization. It contains codes for injuries and diseases and their causes and symptoms, along with patient complaints and socioeconomic circumstances. While health organizations in the United States have long been preparing for the transition from ICD-9, the actual changeover date was delayed several times after some physicians and provider lobbying groups said they weren't ready. Even with the additional time, some recent tests of the codes among early adopters nationwide resulted in about a fifth of the claims being denied because they weren't accurate or weren't correctly submitted, said Dr. Richard Thorp, the immediate past president of the California Medical Association. In the small town of Paradise, Calif., 85 miles north of Sacramento, Thorp said his 18-person medical group is hoping for the best. It invested late last year in a new electronic health records system that should help with the transition. Even so, he remains skeptical that things will go smoothly. "It's not going to be clear for three to six weeks whether there are going to be payment issues," he said. If everything goes well, he said, "we'll just breathe a sigh of relief and go on doing what we really want to do — which is take care of patients."